The Scuba-Doo is a self propelled diving vehicle, used primarily for introductory dives to a maximum depth of 10 meters. 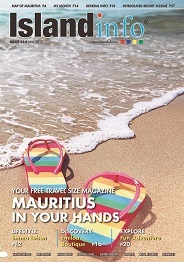 Mauritius being a key destination for tourists, hotels and other tourism related organizations provide a multitude of possible recreational activities to explore the natural beauty of the island. Eco-activities, sports and nautical activities are out there for all. Activities such as zip-lines, mountain climbing and abseiling are set up with care for your own safety and for you to make the most of what our landscape has to offer. The assets of Mauritius in terms of sports activities remain by far the nautical activities, all beach hotels have at your disposal - windsurfs, dinghies, pedal-boats and speed boats for water-skiing. Day-cruising in yachts are also very common with a number of operators providing this service. Typically, the East,West and North coasts are suitable for nautical excursions restricted to the lagoons while the North and West coasts are better for water activities in the open sea. In recent years, there has been a rise in more innovative excursions such as dives in submarines ..or on “Subscooters,” and a proliferation of other activities such as kite surfing, quad biking and mountain biking.